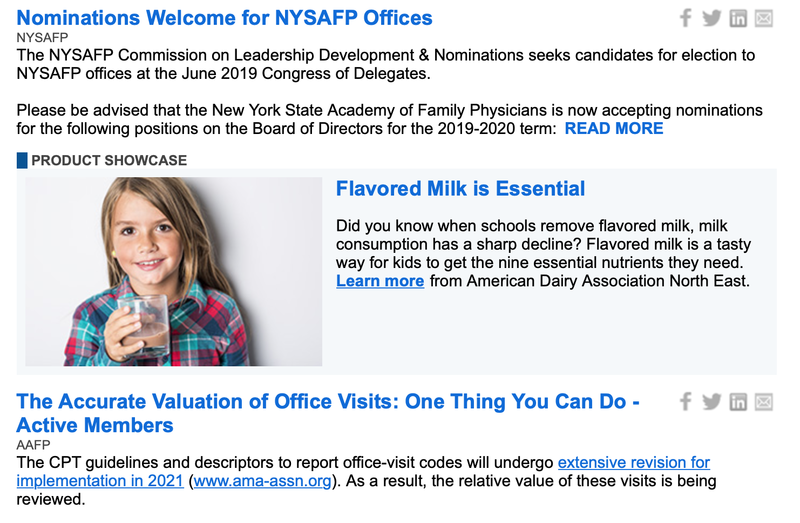 So what possible reason could the New York State Academy of Family Physicians (NYSAFP) have to highlight in their weekly eNews circular sent to 10,447 family physicians and students, an article that claims, "Flavored milk is essential" and "a tasty way for kids to get the 9 essential nutrients that they need"? I think it's a fair question given the World Health Organization, the Centers for Disease Control, and yes, the NYSAFP's parent organization, the American Academy of Family Physicians (AAFP) all recommend that added sugars contribute no more than 5-10% of total daily calories, and yes, chocolate milk contains heaps of added sugar. "It is important that you stay hydrated. However, drinks that contain sugar are not healthy. This includes fruit juices, soda, sports and energy drinks, sweetened or flavored milk, and sweet tea." 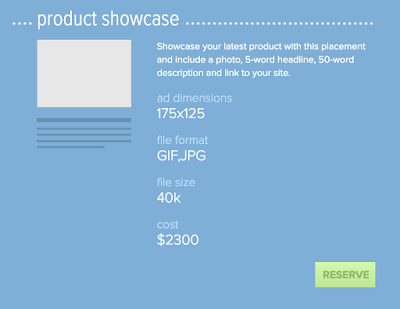 And I'm guessing the answer won't surprise you either. 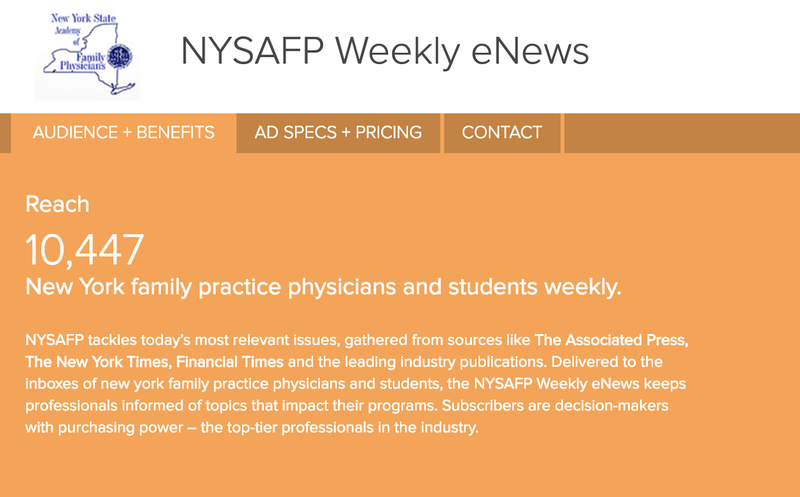 Because that's how much the NYSAFP charges companies for a "Product Showcase" feature that goes out in 13 separate emails to reach those 10,447 family physicians and students. So NYSAFP, if you're reading, please issue a correction, and to that end, here's an invitation for you. If you'd like to send out some information about what happens when chocolate milk is removed from school lunches to your 10,447 physician and student members, please take this as my permission to freely republish my blog post that covered the study on this very matter that found that taking chocolate milk out of schools did not affect the students' total daily milk or dairy consumption, that on average all students were meeting their daily recommended amounts of dairy (recommendations which by the way are almost certainly higher than the evidence would suggest they need be), that kids who swapped from chocolate milk to white milk drank pretty much the same amount of white as they did chocolate (unless you think 4/5ths of a tablespoon of milk is a lot), and that by removing chocolate milk from the school, in the first month alone nearly half of the initial chocolate milk drinkers switched to white and in so doing, saved themselves piles of calories and the nearly 2 full cups of monthly added chocolate milk sugar.